As you are all aware I am all about EASY cooking. I hate complicated recipes with a million steps that take forever to make. I am after easy, quick & nutritious meals that I can put on the table for my family with a minimal amount of effort. Hence why I loooove my slow cooker. That thing is awesome, its almost like a personal chef hanging out in your kitchen while you get on with conquering the world or the housework! This stew is simple & easy to make, its a throw everything in, let it cook for hours & then finish it just before serving deal. To make for fast prep time, I don’t even peel the vegetables, we purchase Organic vegetables which I just wash & chop which helps to cut down on prep time & also delivers more nutrition per serve. But we all know I do it, because I am lazy! The flavours of this stew are hearty & simple, you could definitely add some fresh herbs like Rosemary or Thyme, but my little people object to “green stuff” in their food so we stick with traditional hearty beef flavours & lots of vegetables. This makes a lot of stew, so if you don’t like left overs (you must be crazy) halve the recipe. I like to serve the leftovers on toast or top it with dumplings so that my family doesn’t feel like they are eating the same thing all the time. But it means you get two meals out of one dinner – which is a huge win in my book!! Place the beef, onions, garlic, tomatoes, beef stock, worcestershire sauce, thyme, carrots, potatoes & sweet potatoes into your slow cooker & leave on low for about 6-7 hours, or if your in a hurry place it on high for 4-5 hours. I like to place a tea towel over the top of the slow cooker to keep all the steam in & help the cooking process along – it seems to cook things faster even though the slow cooker is on low as it’s retaining the heat. About thirty minutes before dinner add in your frozen peas, taste & season your sauce with salt & pepper. Mix the spelt & water together in a small bowl until there are no lumps, stir this into your stew & cook covered for another thirty minutes so it can thicken up. 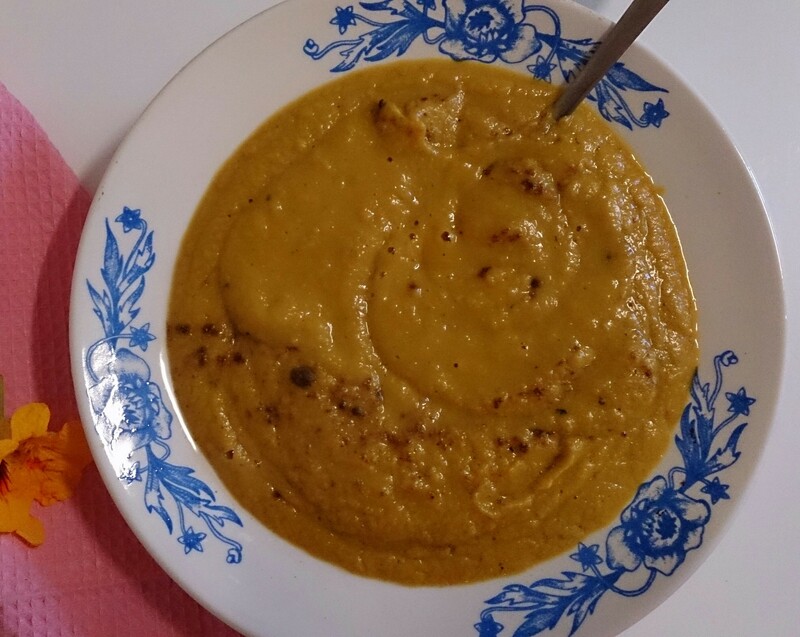 This recipe normally makes two meals for our family of four, so you will have left overs!! Left over stew tastes even better the next day over toast or you can top it with dumplings, bake it in your favourite pie shell recipe or top it with mashed potatoes & a little cheese to make a heartier version of cottage pie. Two meals for the effort of one, makes this Mama very happy. 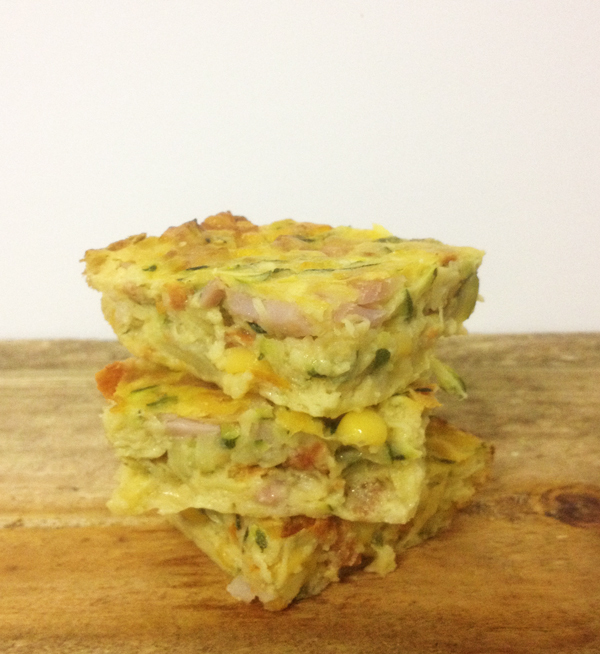 I have to admit that I am a little strange, I don’t really like Omelet’s & typically I am not really a Quiche girl, but I love these Quiches!. 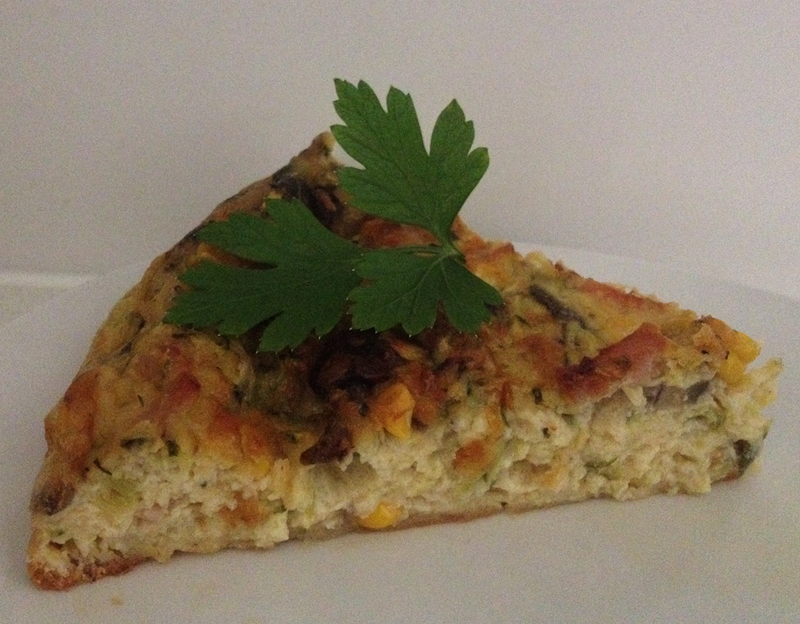 This quiche recipe combines all my favourites, bacon, cheese, zuchini and zesty fresh herbs. Not to mention its super easy to make & you can add in any vegetables or herbs that you have on hand. 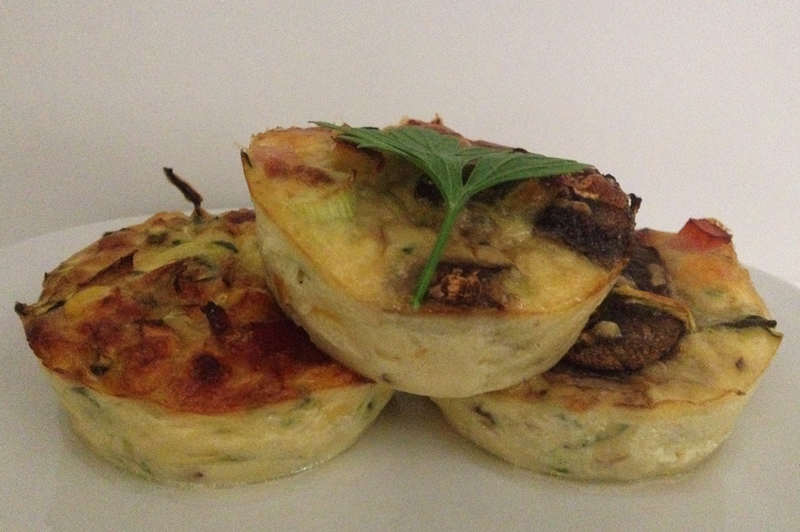 Sometimes mine have mushrooms, sometimes they don’t, it all depends whats in the fridge when the Quiche cravings hit. I love making the muffin versions of these as they make perfect snacks for little hands & a yummy addition to any lunch box. Grate your zuchini & place in a bowl, add chopped mushrooms, diced shallots & sliced bacon rashes. Pull off the leaves of your herbs & add them & your grated cheese to the bowl & stir well to combine. In a jug mix the eggs, milk, spelt, baking powder, salt & pepper & whisk well to combine. At this stage you can either mix your egg custard into your filling & scoop it into your dish or muffin pan, but I prefer to use a spoon & scoop in the vege mix to the top of each pan & then pour over the egg custard. This makes little quiches chockful of yummy goodness as opposed to little omelets (just my opinion). Bake for 45 minutes at 180 degrees. Steamed balls of deliciousness – plain & simple. Soft melt in your mouth pastry filled with the tastiest pork filling dipped in sticky, sweet soy dipping sauce. Mmmm, I am salivating at the thought. 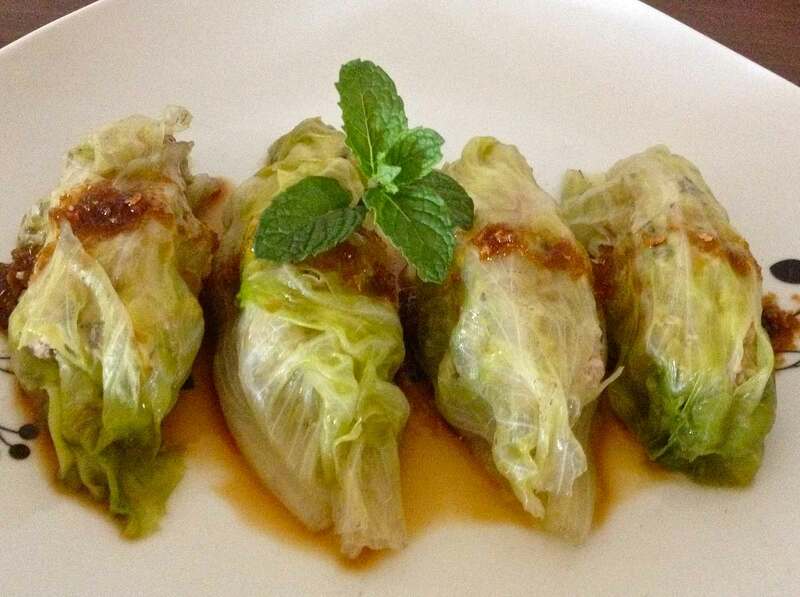 Going healthy means giving up our Dim Sums, right? Not for this Mama Going Natural. After a few dismal failures we have finally hit on a Dim Sum recipe to rival our local Chinese shop. Actually a certain member of the family claims them to be better than the “Real McCoy” – now that’s high praise indeed. 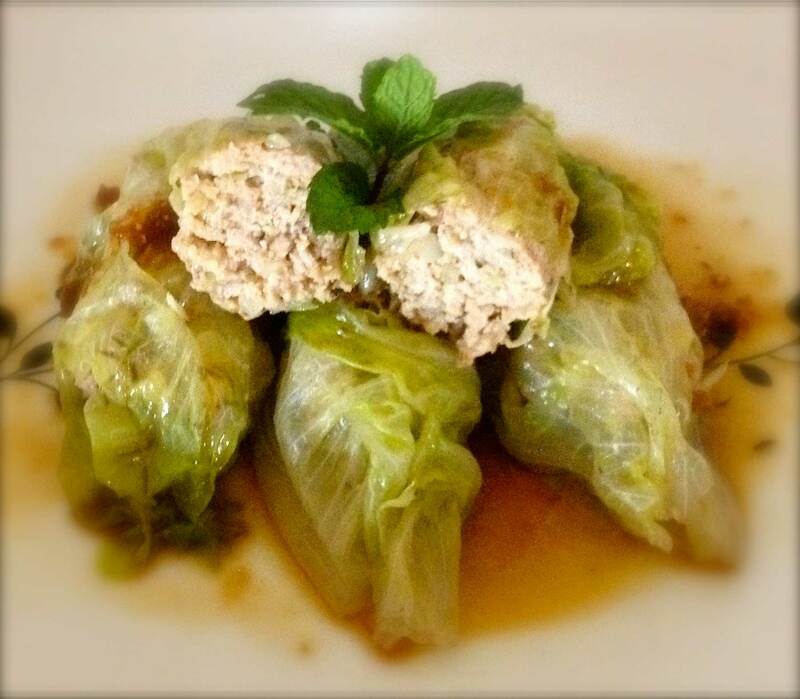 So whats the secret to making delicious “Grain Free” Dim Sums – lettuce. I know what your thinking “Ohh Gross”, lettuce belongs in salads – right?. Wrong!. Lettuce is the star & hero of this dish. It wraps around your succulent filling giving it a moist, soft, yet slightly crispy shell that is to die for. Don’t believe me – try them – I dare you – I double dare you!! Mix all of the above Dim Sum ingredients together well in a bowl (minus the lettuce leaves & toothpicks). Set the mix to the side and wash your lettuce leaves. Place sausage shapes of the mix down the middle of each leaf & roll the leaf around the meat mix, securing with a toothpick. Don’t worry about the ends being tucked under as the mix holds together well in simmering water. Once you have all of your lettuce rolled Dim Sums made fill a large pot 1/2 full with water & add all of the cooking water ingredients. Let it come to a gentle simmer. Don’t put your Dim Sum’s in boiling water as this may cause them to disintegrate. Cook your Dim Sums for approximately 10 minutes per batch & drain well. To make the dipping sauce, combine all of the ingredients in a bowl & season with salt & pepper to taste. Break out the chopsticks and prepare to have your taste bud’s rocked! Now credit where credit is due. This is actually a healthier adaptation of my little sister’s Dim Sum recipe, so kudos has to go out to Lillie for making a rocking Dim Sum & inspiring me to “healthy it up” a little. For the record while she did concede my Dim Sums were nice, she has decided to stick with the pastry originals – what can I say, she’s a purist like that!